View More In Guitar & Bass Accessories. 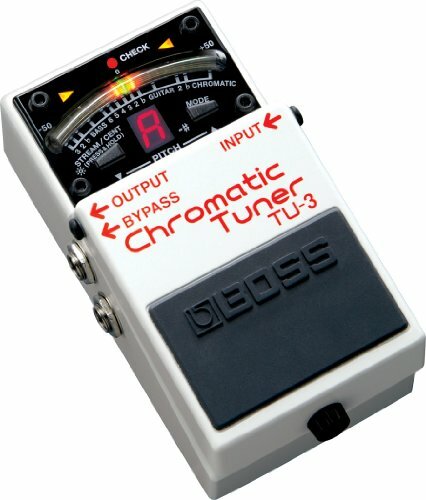 The BOSS "TU" line is synonymous with reliable, roadworthy and accurate tuning. Today, the world's most famous tuner prefix gets "clipped-on" with the debut of the TU-10. Reinventing the traditional image of clip-on tuners, the TU-10 offers a stylish design and robust body with high-performance features derived from other BOSS tuners, such as Ace-Pitch, flat tuning up to five semitones, and Stream mode. A unique feature - the "true color" LCD - provides a full, multi-color visual experience not seen before in other clip-on tuners. In addition, the reflection-display function dramatically improves visibility. If you have any questions about this product by BOSS Audio, contact us by completing and submitting the form below. If you are looking for a specif part number, please include it with your message.